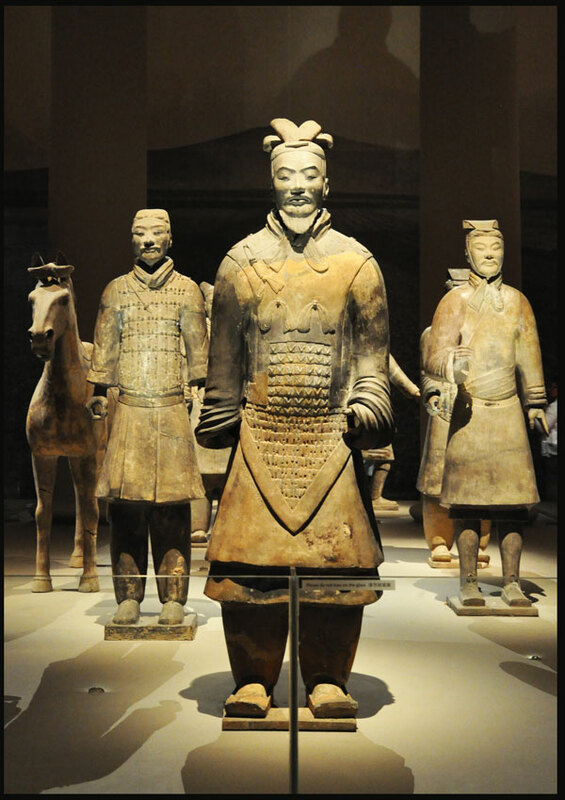 This exhibition features one hundred artefacts from Shaanxi province in China. 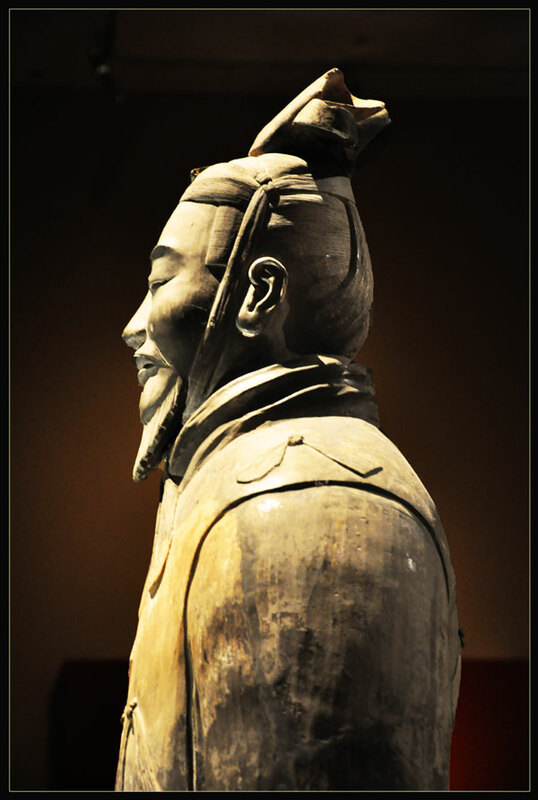 Besides terracotta figures, the display contains important bronzes and jades from the Qin state before the time of the First Emperor, Shi Huangdi. The Han dynasty inherited the legacy of unified China, and charming terracotta figures from this later period show how the First Emperor’s tomb influenced later burials. 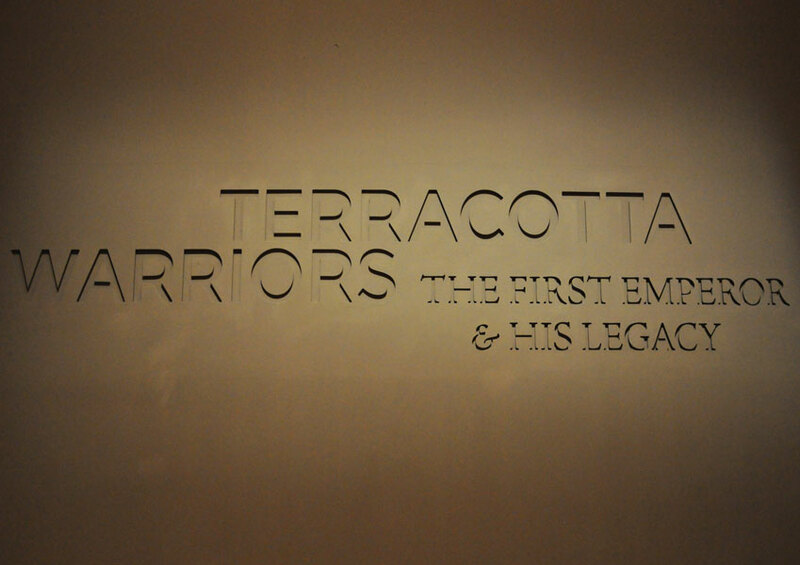 The exhibition highlights new interpretations and poses questions about what we really know of the remarkable terracotta army. Recent excavations have revealed a variety of objects, including painted warriors, acrobats meant to entertain the emperor, chariots and life-like birds. Many of these are presented in the exhibition. Officers can be identified by their moustaches and headdresses. 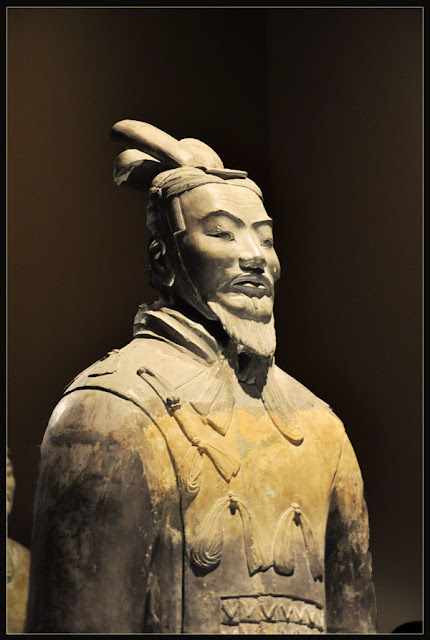 They were also taller than the average terracotta soldier, but not as tall as a general. 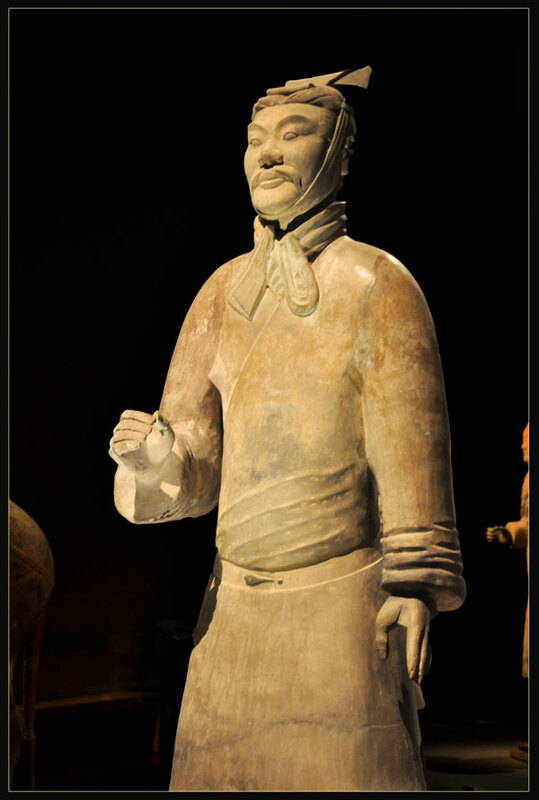 The terracotta figures are life-sized. They vary in height, uniform and hairstyle in accordance with rank. Most originally held real weapons such as spears, swords, or crossbows. The figures were also originally painted with bright pigments, variously coloured in pink, red, green, blue, black, brown, white and lilac. 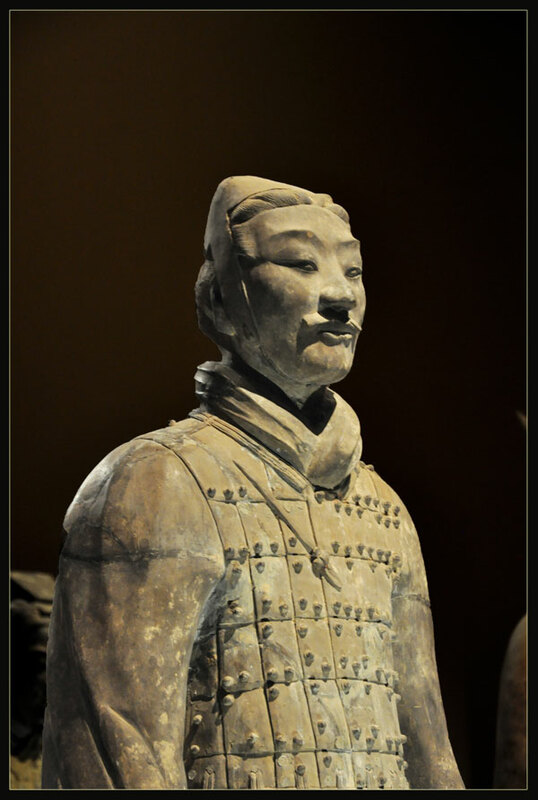 The coloured lacquer finish, individual facial features, and actual weapons used in producing these figures created a realistic appearance. Most of the original weapons were thought to have been looted shortly after the creation of the army, or have rotted away, and the colour coating has flaked off or greatly faded. However, their existence serves as a testament to the amount of labor and skill involved in their construction. 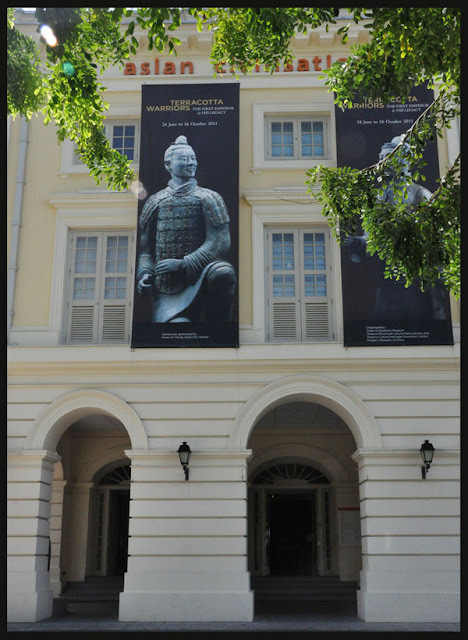 If you have not visited the Asian Civilisations Museum to see the Terracotta Warriors, do so before this fine exhibition finishes on October 16. 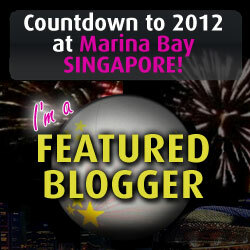 This is the second in a series of blog posts on the exhibition. 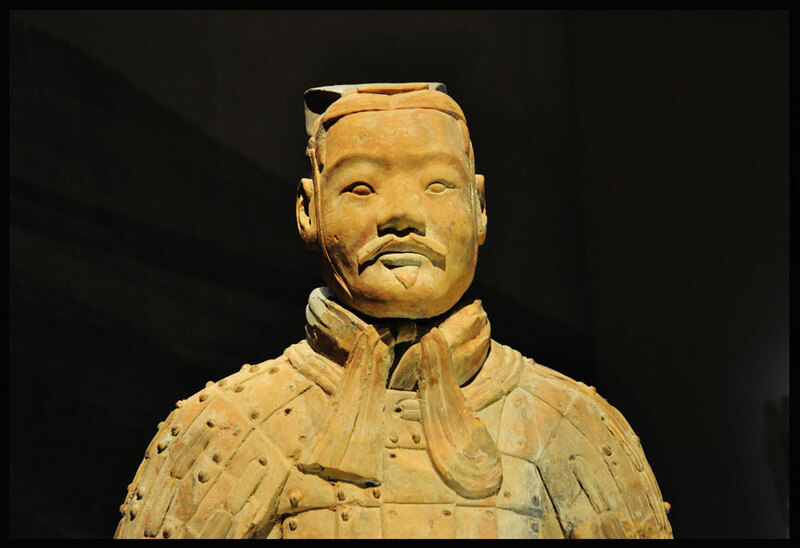 First one is HERE on "the suit of armour"
This exhibition is organised by the Asian Civilisations Museum, in partnership with the Shaanxi Provincial Cultural Relics Bureau and the Shaanxi Cultural Heritage Promotion Centre, People’s Republic of China. 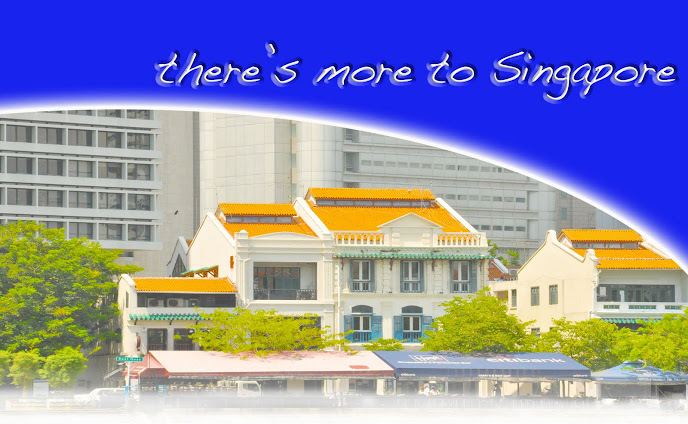 please stay with us as we take you through the exhibition over the next few days.